On July 1st of every year there are significant changes announced to the Australian skilled migration program. It starts with the changes made to the Skilled Occupations List (SOL). These changes effect both the the Subclass 189 Skilled Independent visa and those that are applying for Subclass 489 Skilled Regional visa and have an eligible relative sponsoring them. The SOL for 2016-2017 has already been announced . If you do not have an occupation on the SOL then you can consider state/territory nominated pathways. If your occupation is on one of the nomination lists then you may be eligible to apply for a Subclass 190 Skilled Nominated visa or a state/territory nominated Subclass 489 visa. Australian Capital Territory (ACT) – Due August 2016. Northern Territory – As above, this was already announced in April 2016. Queensland (QLD) – Still working on it, date to be confirmed. South Australia – These are due to be announced at the start of July. (Update: this has now been announced). Tasmania (TAS) – Likely to be August/September. Victoria (VIC) – No dates can be advised at present. 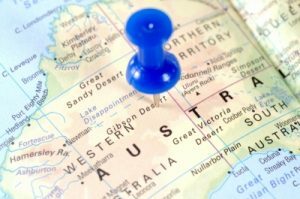 Western Australia (WA) – The annual review will be undertaken in the last half of the year Note: last year it was October. Meeting the points test of 60 – including the 5 or 10 points available for state nomination. Although states may require higher points for nomination of specific occupations. If you could like to discuss the above please get in touch.